So, You Want Natural Childbirth? I have met a lot of mothers that say, “I would like to have a natural childbirth, but we’ll see how it goes once I’m in labor.” Whenever I hear that it’s hard for me to think that it’ll work out. You see, If you desire a natural childbirth, you need to commit to it prior to the onset of your labor. You need to do your research and know the facts, because when everyone tells you how crazy you are, or when you get scared, you must believe in why you’re choosing natural childbirth and that you are able to do this. Here’s what I recommend for those exploring natural childbirth and it’s not What to Expect When You’re Expecting (just go ahead and use that book as a paperweight). From The Publisher: Practical Information for a safe, satisfying Childbirth. Award winning medical writer and birth activist Henci Goer gives clear, concise information based on the latest medical studies. Goer will help you compare and contrast your various options and show you how to avoid unnecessary procedures, drugs, restrictions, and tests. 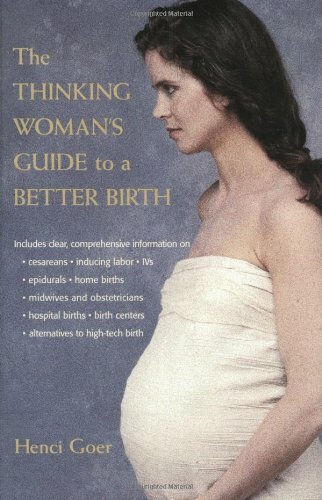 This book has excellent information regarding hospital births, birth centers and home births. You name it, it’s here. Henci Goer keeps things concise and to the point. You will read this and feel like an expert on birth’s medical procedures, knowing exactly what the pros and cons of each intervention are. From The Publisher: With over one million copies in print, this is one of the best-selling books about pregnancy on the market. More complete and up-to-date than any other pregnancy guide, this remarkable book is the “bible” for childbirth educators. Now revised with: a greatly expanded treatment of pregnancy tests, complications, and infections, an expanded list of drugs and medications, plus advice for uses, a brand-new chapter on creating a detailed birth plan. Called “excellent” by the American Journal of Nursing. Co-written by one of the founders of Doulas of North America (DONA), this complete guide covers all aspects of childbearing from conception through early infancy. It tells what to expect during pregnancy and birth and how you can work with your caregivers to make childbirth a happy and healthy experience. This book should be in every expectant mother’s hands, regardless of how she’s planning on birthing. If you read just one book, read this one. From The Publisher: What you need to know to have the best birth experience for you. Drawing upon her thirty-plus years of experience, Ina May Gaskin, the nation’s leading midwife, shares the benefits and joys of natural childbirth by showing women how to trust in the ancient wisdom of their bodies for a healthy and fulfilling birthing experience. Based on the female-centered Midwifery Model of Care, Ina May’s Guide to Natural Childbirth gives expectant mothers comprehensive information on everything from the all-important mind-body connection to how to give birth without technological intervention. Filled with inspiring birth stories and practical advice, this invaluable resource includes: Reducing the pain of labor without drugs–and the miraculous roles touch and massage play. 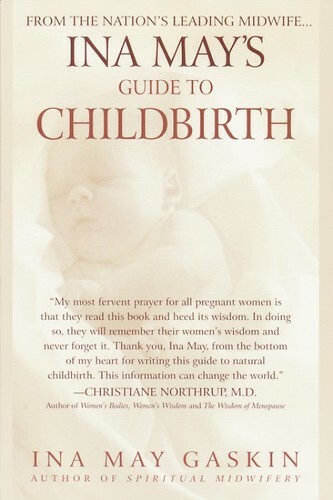 Ina May’s Guide to Natural Childbirth takes the fear out of childbirth by restoring women’s faith in their own natural power to give birth with more ease, less pain, and less medical intervention. 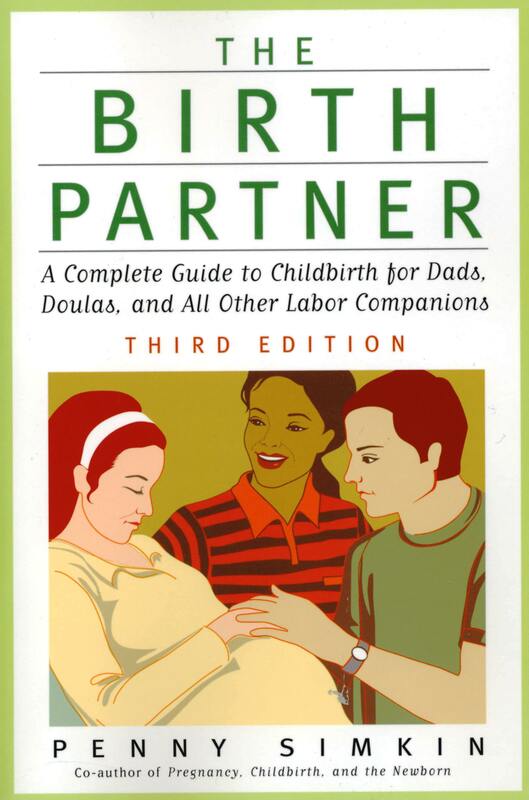 From The Publisher: The Birth Partner is the definitive guide for preparing to help a woman through childbirth and the essential manual to have at hand during the event. 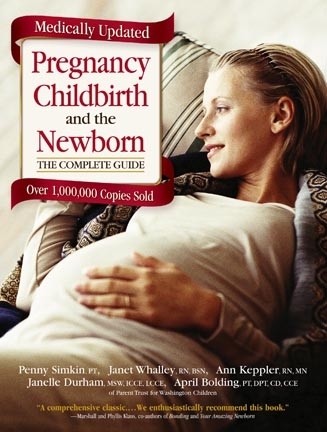 Since the book’s original publication in 1989, fathers-to-be, new mothers’ friends and relatives, and professional doulas (labor assistants) alike have relied on Penny Simkin’s guidance in caring for the new mother from the last few weeks of pregnancy through the early postpartum period. This book is really best after you’ve made the decision to birth naturally, it’s a great book to share with your birth parter, or to simply have on hand as a resource for management of labor contractions. As well as a wealth of information on medical interventions and procedures. Choose a birth center (or birth at home with a midwife). If you truly desire the natural childbirth experience (and you are a low risk pregnancy) yet, you aren’t ready for (or want) a home birth, opt for a birth center. You can tour the birth center in the same way in which you would tour a hospital. Meet the midwife(s), find out her credentials. Is she a CNM or a CPM? Does that matter to you? Does she carry Malpractice insurance? Does she have hospital privileges? How many babies has she caught? Ask what the center’s transfer rate is. Ask how many of those transfers were truly emergencies. Also, ask how many of those transfers ended up with C-sections. Ask who their OB is. Birth centers are required, just like hospitals to keep track of their statistics. So, if they’re good, they’ll have good statistics. Are you worried about the safety of birth centers? Do your research. Birth centers are required to be within 30 minutes of a hospital. If you just can’t bring yourself to birth at a center or at home, and you choose a hospital, know this: if you buy the hospital ticket, you get the hospital ride. This is a bit tongue and cheek, but it’s making a point. You can read the whole blog here. However, here’s a portion below, but the entire post is worth the read. Once again, if you buy the hospital ticket, you go for the hospital ride. If you buy a house and stand inside your palatial mansion saying to the builder, “But, I wanted a log cabin!” – the builder might wonder what the heck you were thinking going to a master-palatial-home-builder instead of a log cabin specialist. If you want soy milk, don’t milk a cow. Why… why oh why… if you want a “home-like birth inside the hospital” aren’t you considering a home or birth center birth? What is your induction rate? What drugs do you use to induce mothers? How long will you let a mother go before you feel the need to induce? (Medical Induction alone increases a first time mother’s chance of C-section 2 to 4 times that of a mother who is not medically induced). Ask your OB what he feels about Bishop’s Score when choosing to medically induce labor. What are your personal views on un-medicated childbirth? For a more in-depth list of questions to ask your OB and or midwife click here. Hire a doula, especially if you are birthing at a hospital and hope to have natural childbirth. Perhaps you plan on having an epidural or know you will be induced, but desire to avoid a C-section, most definitely, hire a doula. Doulas have been proven, over and over again, to increase your odds of a vaginal birth, help with pain management, keep you informed and aware, shorten labor and keep your labor goals within reach. DONA has a list of doulas in your area. Keep in mind, that most doulas are willing to barter, or work on a sliding scale and or reduced rate. There are also some that are willing to volunteer, especially if they’re completing their certification. Make sure your partner supports your decision for natural birth. This is so important. Your partner needs to understand why you’re choosing this and the benefits. That way, when they see you dealing with strong contractions they don’t say things like, “I don’t like seeing you this way, why don’t you just go ahead and get an epidural.” Rather, they understand that you are created to birth, that you are strong and able, and that achieving this goal is important to you. Take the time to inform your partner and anyone else that will be present at your birth why you are choosing natural birth. Have a good reason. I know many women who say they want natural childbirth because they simply don’t like needles and don’t want an epidural. But let me tell you, pain makes you brave, and that won’t be enough to keep you from taking the epidural plunge. You would do well to have a better reason than that. There are plenty of evidenced based studies that reveal the benefits of natural childbirth to mother and child. Just go ahead and go down that research rabbit hole, you’ll be amazed at what you’ll learn. Who knows, you might even become a birth activist! Attend a birthing class. Sure you can attend the hospital’s childbirth education class, and you may want to if you desire to learn the hospital procedures regarding medical interventions and procedures at birth. However, I recommend that you find a birthing class that is not sponsored by the hospital and is geared towards natural birth. Taking a class on natural childbirth will give you the tools you need to be prepared, empowered and informed. You will have direct access to a skilled childbirth educator – that way you can ask all the questions you have and get personal answers. Plus, the class will help you prepare for the emotional and physical aspects of labor and birth, among other things. You’ll also get a chance to meet lots of other cool pregnant couples just like you – a room full of pregnant women and their partners is just fun. Watch The Business of Being Born. There are also a ton of fantastic resources on their site, plus a great clip of the documentary. Please take the time to check it out and look over the articles, recommendations and resources. All the best in your journey! And remember, the fastest way to lose power is to assume that you have none. This was really informative. I am pregnant with our second little one and have all ready opted to have a homebirth and found a great midwife. The birth experience we had with our first wasn’t really what I wanted. I am very excited about this birth! I’m so glad you mentioned your book. Thank you for giving us another valuable resource and all your thoughts are spot on.